Spa at the Pullman is the perfect escape to take respite from the norm and reconnect with your inner source of vitality. Our facilities include an expansive sun terrace, 25 metres heated indoor lap pool, sauna, steam room, spa pool and cutting edge fitness facilities, six spa treatment rooms, a chill zone, private lounge for group bookings. 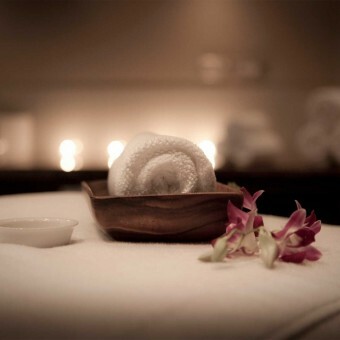 Spa at the Pullman offers an exclusive array of treatments inspired by the purest sources from the land and sea. Our partners have travelled the globe to find the highest quality organic ingredients, ancient healing stones and precious crystals. A combination of scientific research, ancient Eastern philosophies and Indigenous elements combine to create unique spa treatments and wellbeing journeys to encourage deep relaxation. We focus on regaining your energy levels so you’re centre-aligned and balanced. 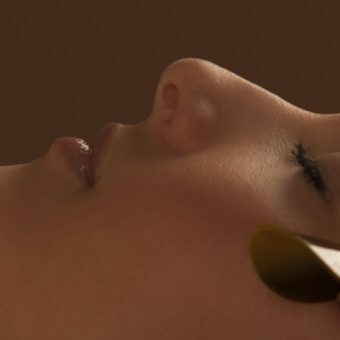 This is achieved through specialized spa techniques, carefully selected ingredients and internationally inspired treatments to result in a stronger mind and body and a renewed sense of wellbeing. Spa at the Pullman focuses on regaining your energy levels for a stronger mind and body and a renewed sense of well being. We apply three distinct practices – natural, traditional and scientific. Modern Western remedies, Eastern philosophies and Indigenous elements combine to create unique Spa treatments and wellness journeys that encourage deep relaxation. To ensure you keep up with your fitness routine, Pullman Auckland features a Fit Lounge with cardiovascular, strength training equipment, sauna, spa pool, swimming pool, personal training, urban yoga classes and nutritional services. Luxury Irish beauty brand VOYA, the world’s first certified organic, seaweed-based range of spa treatments and skincare products, is now available at the Pullman Auckland Spa. Our new menu features VOYA seaweed wraps, scrubs, massages and facials, becoming the first in Australasia to offer VOYA beauty and wellness treatments. Seaweed plant is the world’s most powerful antioxidant and is known for its anti-inflammatory, anti-ageing and therapeutic properties. When steamed it produces luxurious oils that are easily absorbed into the skin, improving suppleness and elasticity, and promoting tissue regeneration. With a retractable roof and wall providing a harmonious balance of indoor/outdoor air flow, the pool area within Spa at the Pullman is ideal for both fitness and relaxation. 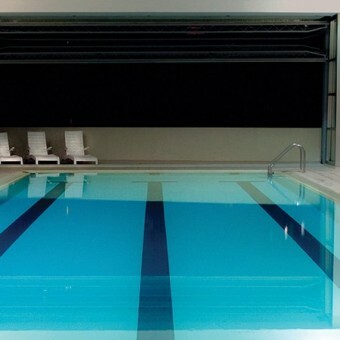 Complete with a 25-metre heated swimming pool, spa pool, sauna and steam room, you can take advantage of all of the pool facilities prior or post your workout or treatment, with complimentary towels being provided. Fit Lounge combines fitness with convenience. Complete with an adjacent sun terrace ensuring clean outdoor air flow, LCD TV’s, cardio equipment, free weights and boxing gear, the facility provides the ideal space for the urban dweller to get fit. Fitness Centre hours are from Monday to Sunday 6:00am – 10.00pm.